PRICED UNDER APPRAISED VALUE. An EXQUISITE CUSTOM BUILT WATERFRONT HOME. Outstanding craftsmanship, located in Kahite of TV. 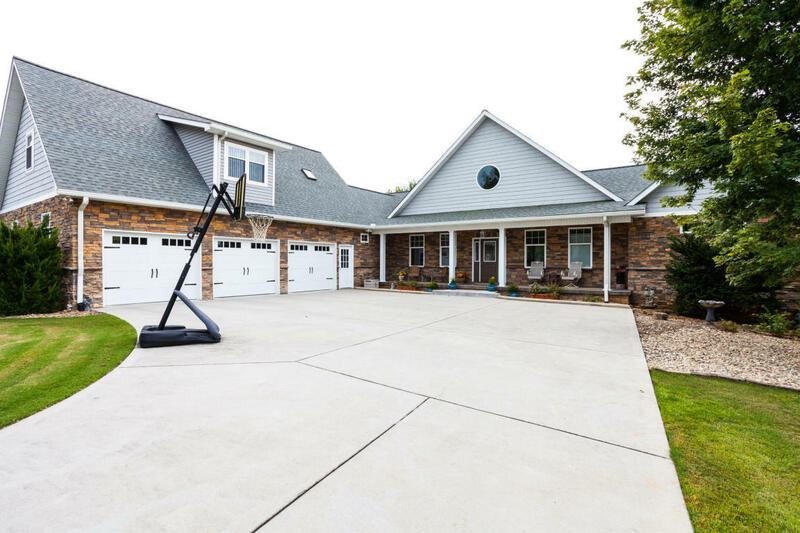 This home boasts of 4-Bedrooms, 5-Baths, and a 3-Car Garage. A total of 4,700 Sq. Ft. Opens to a 20' vaulted great room, natural lighting, new hardwood flooring, and fireplace, connected to a spacious kitchen with custom crafted cabinets, and gorgeous solid surface counter tops. By design home is passive solar with R-50 insulation in roof. Incredible outdoor space, southern exposure, and level walk-out to your very own private dock. Dock Permit On File.Kahite, located in Vonore Tennessee, is just 20 miles South of Maryville, Tennessee, at the foothills of the Smoky Mountains and adjacent Knoxville metropolitan, you will find KAHITE, on a year-round TELLICO LAKE.